Melissa Mark-Viverito was elected earlier this month as the first Latina City Council speaker, and on Wednesday, she threw an inauguration ceremony in the Bronx to mark the occasion. She said she would work to increase affordable housing and push for the mayor’s proposal to tax more affluent New Yorkers to pay for universal pre-k.
“I believe that the Council and our city government as a whole can do more to improve the lives of New Yorkers, everyday New Yorkers, who are increasingly feeling the great inequality crisis,” Mark-Viverito said. Mayor Bill de Blasio himself also spoke, praising his new partner in government. Serenaded by Puerto Rican bomba drums and “si se puede!” chants, the inauguration was also as much about the ascension of Latino lawmakers in the city as it was the rise of the progressive movement. Hispanic Congress members José Serrano and Nydia Velázquez hailed Ms. Mark-Viverito’s rise, as did ex-Bronx Borough President Freddy Ferrer, who in 2005 was the first Latino nominee for mayor by a major party. He also pointed to some of the negative press coverage the speaker received during the campaign. “Today we celebrate the election of the most progressive speaker in the City Council in the history of New York City,” he later declared. World Liberty TV, Political team was on hand to cover this Historical Inauguration of The First Latino ever to be elected as the Speaker of New York City Council. 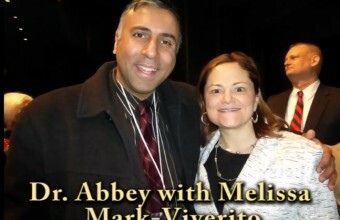 And her name is, Melissa Mark –Viverito. NRF’s Annual Convention & EXPO earned the nickname “Retail’s BIG Show” years ago and because the name was so appropriate, it stuck. Today, Retail’s BIG Show is NRF’s flagship industry event held annually in New York City. The four day event offers unparalleled education, collegial networking, and an enormous EXPO Hall full of technologies and solutions. The BIG Show presents visionary leaders with game-changing ideas to help elevate your perspective of the industry and your business – then put this knowledge into motion. At the BIG Show, the entire horizon of possibilities available to get you to the next level come into focus as you explore innovative ideas and insights from your peers, partners and competitors. The NRF team works tirelessly to secure industry leaders as Convention speakers – the more innovative, revolutionary and intriguing the better. The sessions are organized into content tracks and focus on everything from mobile retailing and sustainability to research and global trending. Industry super stars take the stage in Keynotes, while Breakout Sessions concentrate on a single topic. From the kick-off opening night reception and EXPO Hall happy hours to more intimate working breakfasts and lunches, the Convention offers numerous networking opportunities for attendees. Full Conference attendees are invited to the Annual Retail Industry Luncheon to honor retailers for their innovation and industry achievements. 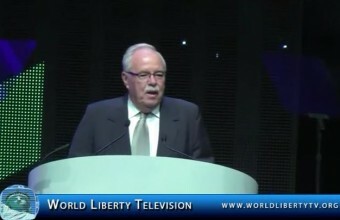 World Liberty TV, was on hand to cover this great event, see the movers and shakers from around the World in the retail industry ,as well as the NRF Gold medal winners this year. International Consumer Electronics Show (CES) opened in Las Vegas. Lenovo, which grabbed 50 CES innovations awards last year, showed up with 23 all-new models, among which the most attractive were the multi-mode product family represented by convertible PC Yoga 2 Pro and high-end products led by the world’s lightest 14in Ultrabook ThinkPad New X1 Carbon. Now single-formed devices have been unable to satisfy users’ diverse use demands. From the perspective of enhancing user experience, Lenovo has launched a series of innovative multi-mode products, thus opening up new market space: in the laptop field, Lenovo first launched Yoga 360-degree convertible PC combining flip-open laptop and tablet PC. Yoga 2 Pro exhibited at 2014 International CES was upgraded on the basis of Yoga. Besides four use modes like laptop, stand, tent and tablet, Yoga 2 Pro also provides several control modes like voice, gesture and touch screen, bringing perfect human-machine interactive experience. In appearance, Yoga 2 Pro weighs only 1.39Kg, 10 percent lighter than Yoga and reduces to 15.5mm in thickness. The thin appearance enables you to handle it with only one hand easily. In performance, the industrial top 3200*1800 HD screen refines pictures. Intel’s latest Haswell processor boosts performance while reducing power consumption. The nine-hour duration can satisfy all-day working needs. In the tablet PC field, Lenovo has taken the lead in renovating the standardized modeling of tablet PC and launched the world’s first multi-mode Yoga tablet PC. Its innovative scroll stand creates three intelligent use modes: reading, standing and touch screen; in the desktop field, upgraded smart desktop – Horizon 2 combines three modes: table PC, digital TV and AIO. To achieve all-round breakthrough in the high-end market, at 2014 International CES, Lenovo launched new products like Beacon family cloud center bringing all-new family cloud experience through smart connection and wireless sharing, as well as VIBE Z, a flagship smartphone under the high-end smartphone brand–Lenovo VIBE. Among them, ThinkPad New X1 Carbon, tailored to high-end business people and frontier technology professionals, was most eye-catching. Through applications operated by users, New X1 Carbon’s innovative all-new self-adaptive keyboard can perceive user demand, pre-estimate user behavior and switch among multiple keyboard using solutions, thus accomplishing the perfect combination of minimalist design and humanistic experience. With a resolution of 2560*1440, an increase of over 25 percent from the previous edition, the WQHD screen of New X1 Carbon may be rated as luxurious visual configuration, and the 14in screen embedded in the 13in case enhances portability and vision. Also, it reduces to 1.27 kg in weight and 17.72mm in thickness, renewed a record of 14in laptops. Additionally, New X1 Carbon inherits the classic of ThinkPad and can be matched by OneLink dock to extend functions; provides choice of 3G/4G wireless communication; and enhances fingerprint recognition security through NFC (optional); and features “Rapid Charge” with a battery life of 9 hours to better meet users’ work needs. 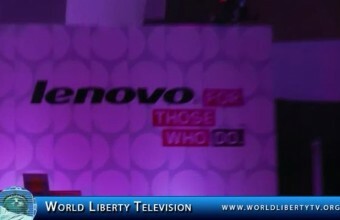 At 2014 International CES, Lenovo also launched ThinkPad 8, the fastest-ever Win8 convertible PC of the ThinkPad family. The all-new high-performance server, desktop network storage device Lenovo EMC px4-400d, ultra-high-definition 4K display Lenovo ThinkVision Pro2840m, as well as Lenovo Y and Z laptop series and C560 AIO blending elegant design and advanced technologies in personal life have all achieved breakthroughs in innovative design and performance. Lenovo has maintained strong momentum in recent years and led the global PC market for two consecutive quarters. In the broad sense, Lenovo ranks 2nd in the “PC + tablet PC” field in the world. Also, it has achieved fruitful results in PC+ transition and has become the world’s third-largest smartphone vendor and fourth-largest tablet PC vendor. Lenovo’s appearing at 2014 International CES with a wide variety of multi-mode devices and high-end star products shows its tremendous innovation strength and boosts industrial development. Lenovo (HKSE: 992) (ADR: LNVGY) is a US$34 billion personal technology company – the largest PC maker worldwide and an emerging PC Plus leader – serving customers in more than 160 countries. Dedicated to exceptionally engineered PCs and mobile internet devices, Lenovo’s business is built on product innovation, a highly-efficient global supply chain and strong strategic execution. Formed by Lenovo Group’s acquisition of the former IBM Personal Computing Division, the Company develops, manufactures and markets reliable, high-quality, secure and easy-to-use technology products and services. Its product lines include legendary Think-branded commercial PCs and Idea-branded consumer PCs, as well as servers, workstations, and a family of mobile internet devices, including tablets and smart phones. Lenovo, a global Fortune 500 company, has major research centers in Yamato, Japan; Beijing, Shanghai and Shenzhen, China; and Raleigh, North Carolina. Stephanie Atkinson, a founding member and current CEO of Compass Intelligence, leads the organizational direction of the company, including strategic initiatives, client engagements activities, financial planning, and consulting services with Fortune 500 customers. She specializes in vertical markets, technology segmentation, and overall market intelligence and consulting services within the telecommunications, information technology, network infrastructure, and other high tech industries. Ms. Atkinson has been in the high-tech market research and consulting industry for more than a decade, and has also worked in the industry within the equipment and service provider market. 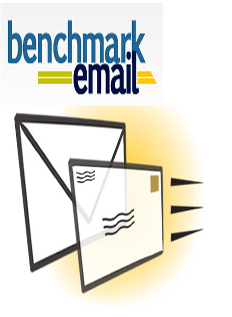 In June 2005, Ms. Atkinson became a founding partner of Compass Intelligence, a research-driven ideation and market research consultancy firm specializing in the optimization of go-to-market strategies for businesses in a variety of industries. Under her direction, Compass Intelligence also became a certified woman-owned business, and in 2010 made the Aggie 100 list for one of the fastest growing Aggie-owned businesses. Smart watches are now more than just a geek gadget. Smart watches have the future! More and more people now see how clever it is to have your phone strapped around your wrist for a quick check, whenever you want, wherever you are. Imagine being able to look at your wrist instead of your phone to check that message or to watch your favorite clip. Don’t you always lose or forget your phone somewhere? The smart watch is the answer to you and your phone truly becoming one. You don’t have to reach to your phone every time you hear a message or if you want to make a quick call, or even a picture! This daring device will truly make your life easier, and give you more freedom then you could have wished for. In no time you will realize that you need one on your wrist too, because BURG phone watch with SIM-card makes it possible for you to call and message anytime, without using your phone. Hermen van den Burg has been exposed to consumer trends and tastes for all his live – from the family retail business in his childhood to various international design awards in his adolescent. These experiences allowed him to participate in many large and global projects at a young age, which even resulted in him being the international image ambassador for a Dutch product. Hermen continued to increase his international experience as a shareholder of a home decoration business that exported to 40 countries around the world. Next to these he personally set up various businesses in the Netherlands, the U.S. and China. Later in life Hermen started his own design company in the Netherlands that became the leading trend forecast agency for home decoration and life style products. This company advised many major companies around the world (including Ikea and Target) on immediate and short-term consumer trends. Working on an international stage with global consumers has been a second nature to Hermen. Currently he is consolidating his comprehensive knowledge and experience of manufacturing, importing and retailing for the benefit of Burg in the European, American and Asian markets. 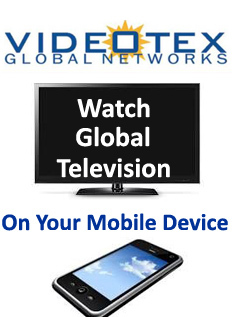 Here see some of the vendors exhibiting at the CES International 2014, show in Las Vegas see some of the new products never seen before on the market. Pepcom’s Digital Experience at the Mirage Hotel and Casino. The event is an unofficial opening event for the show after all of the press conferences. Digital Experience, is Pepcom’s big Consumer electronics showcase at CES, a media event that displays the latest in televisions, audio, computers, software, tablets ,smartphones, Apps, GPS, Videogames, toys, gadgets and many other technologies. Digital Experience! Was held from 7pm-10-30pm ,Monday Jan 6th 2014, the evening before the CES Show Opens , the event took place at the Mirage Hotel & Casino on the Las Vegas Strip. 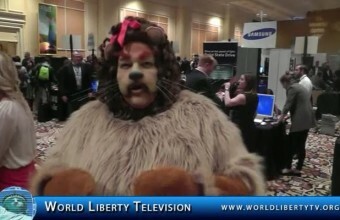 World Liberty TV, was on hand and in attendance at the Pepcom’s Digital Experience at The Mirage Las Vegas, see some of the vendors exhibiting there. Samsung Electronics Co., Ltd., a global home appliance innovator, has announced a new lineup of premium home appliances that enable consumers to manage and master the entire cooking process from start to finish. With insights from some of the world’s top professional chefs, a new refrigerator has been developed that keeps even the most delicate ingredients intact. An electric slide-in range with an unparalleled level of oven temperature control and one of the most significant dishwasher cleaning innovations in the past 40 years are also among the highlights on display at the 2014 International CES from Jan. 7-10, 2014. This year marks the debut of the Samsung Chef Collection, a suite of premium professional chef-grade appliances developed in collaboration with Samsung Club Des Chefs. This first-of-its-kind global culinary initiative, launched in 2013, has brought together world class chefs to collaborate with Samsung on the development of next-generation products. Korean electronics giant Samsung launched its most talked-about product, the curved ultra high definition (UHD) TV, and a range of products including tablets at the 2014 International Consumer Electronics Show. The company unveiled a 105-inch screen UHD TV, which it claims is the world’s largest curved UHD TV. The U9000 series includes 65-inch and 55-inch curved TVs. 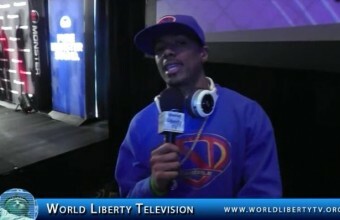 World Liberty TV, Team was on hand for the debut for Curved UHD TV, as well as many more products Samsung Debuted at the CES International 2014. 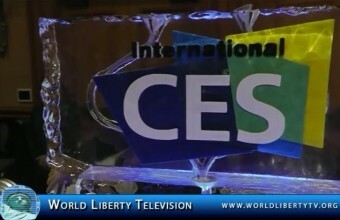 The Following Press Conferences were covered by World Liberty TV, Team during International CES 2014. 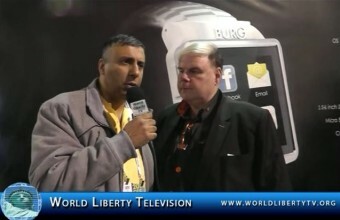 World Liberty TV,Team was on hand to cover these company’s and the new products they debuted during the CES International 2014. NVIDIA unveiled the revolutionary Tegra® K1 mobile processor, a 192-core super chip featuring the same NVIDIA® Kepler™ architecture that powers the fastest GPU on the planet, the NVIDIA GeForce® GTX™ 780 Ti. For the first time, next-generation PC gaming will now be available on mobile platforms. 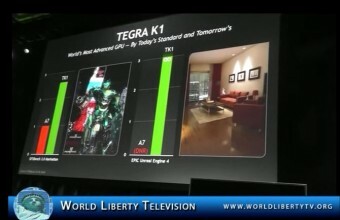 World Liberty TV, Team was on hand at the Press Conference for the debut, of the Tegra K1, a 192-Core Super Chip, wonderfully presented by by Jen-Hsun Huang Founder ,President and Ceo of Nvidia . The Consumer Electronics Show (CES), the world’s largest annual consumer technology trade show, which took place at the Las Vegas Convention Center. Exhibitors show off their newest gadgets and services, including technology for cars, games, cameras, 3D printers, and smart glasses, at the show. CES represents all aspects of the technology ecosystem and brings together leaders from major global industries, as well as policy makers and government officials. The 2014 International CES featured government officials from across the United States and Canada, including three members of the United States House of Representatives, four state elected officials, five members of the Federal Communications Commission, including Chairman Tom Wheeler, and 13 members of the U.S. Department of Commerce, including Secretary Penny Pritzker. Other representatives from the Federal Trade Commission, the Environmental Protection Agency , the National Highway Traffic Safety Administration, the U.S. Department of Energy and the Federal Aviation Administration were also in attendance. In addition, governments from outside the U.S. sent leaders including the Minister for Innovation and the Digital Economy from France and Vice Minister, International Affairs and Communications from Japan. Ambassadors from the Slovak Republic and Poland also attended this year’s CES.